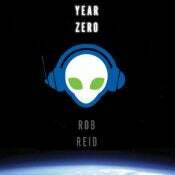 Has Anyone On Here Read Year Zero? So I'm almost to the end of Ready Player One (which is the best book I've read in a long time), and I'm still in the process of moving. I was looking for a good book to read, and while I have quite a few choices I'm eyeing, the current frontrunner is something called Year Zero, which I hadn't heard of before, but I thought the premise sounded interesting. Here's the description given by Audible. In the hilarious tradition of The Hitchhiker's Guide to the Galaxy, Rob Reid takes you on a headlong journey through the outer reaches of the universe - and the inner workings of our absurdly dysfunctional music industry. Low-level entertainment lawyer Nick Carter thinks it's a prank, not an alien encounter, when a redheaded mullah and a curvaceous nun show up at his office. But Frampton and Carly are highly advanced (if bumbling) extraterrestrials. And boy, do they have news. The entire cosmos, they tell him, has been hopelessly hooked on humanity's music ever since "Year Zero" (1977 to us), when American pop songs first reached alien ears. This addiction has driven a vast intergalactic society to commit the biggest copyright violation since the Big Bang. The resulting fines and penalties have bankrupted the whole universe. We humans suddenly own everything - and the aliens are not amused. Nick Carter has just been tapped to clean up this mess before things get ugly, and he's an unlikely galaxy-hopping hero: He's scared of heights. He's also about to be fired. And he happens to have the same name as a Backstreet Boy. But he does know a thing or two about copyright law. And he's packing a couple of other pencil-pushing superpowers that could come in handy. Soon he's on the run from a sinister parrot and a highly combustible vacuum cleaner. With Carly and Frampton as his guides, Nick now has 48 hours to save humanity, while hopefully wowing the hot girl who lives down the hall from him. It sounds pretty funny to me. I was curious if anyone on here had read it, and whether they would give it a recommendation or not. John Hodgman narrates the audio book, I should mention.